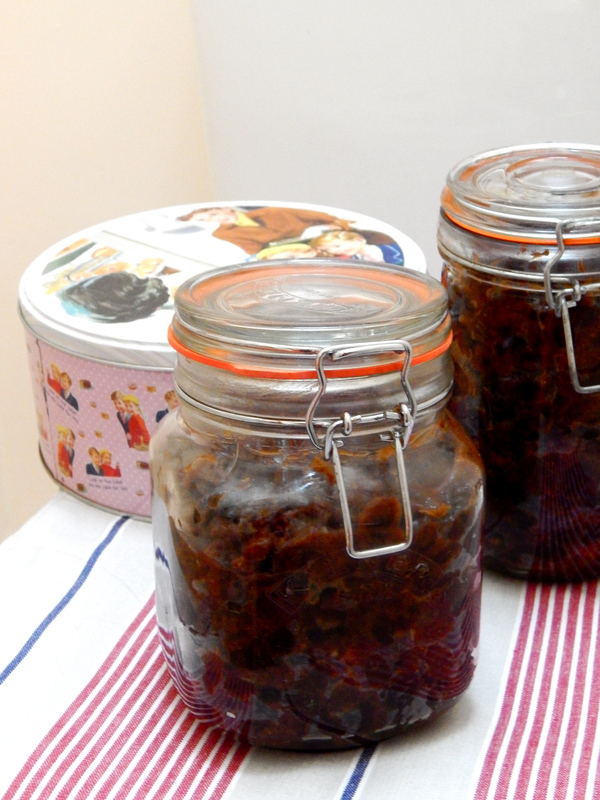 First of all let me apologise for using the C word… but some Christmassy things are better done before December – Mincemeat is one of those in my book. The flavours have more time to develop and the mixture gets stickier the longer you leave it, which makes it all the more tasty. 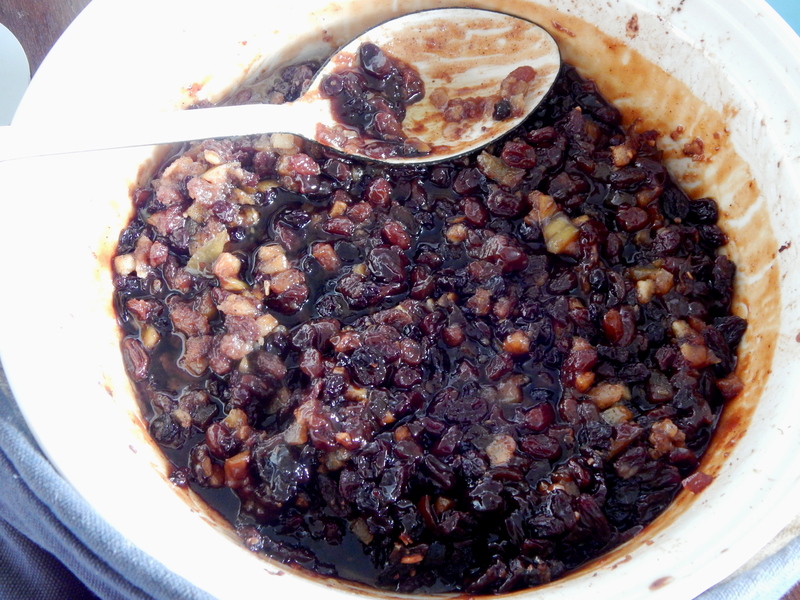 The recipe I use is Delia’s, but i tweaked it slightly to make it cheaper – instead of buying all the currants, sultanas etc separately, I used a kg bag of mixed fruit and added some extra peel. 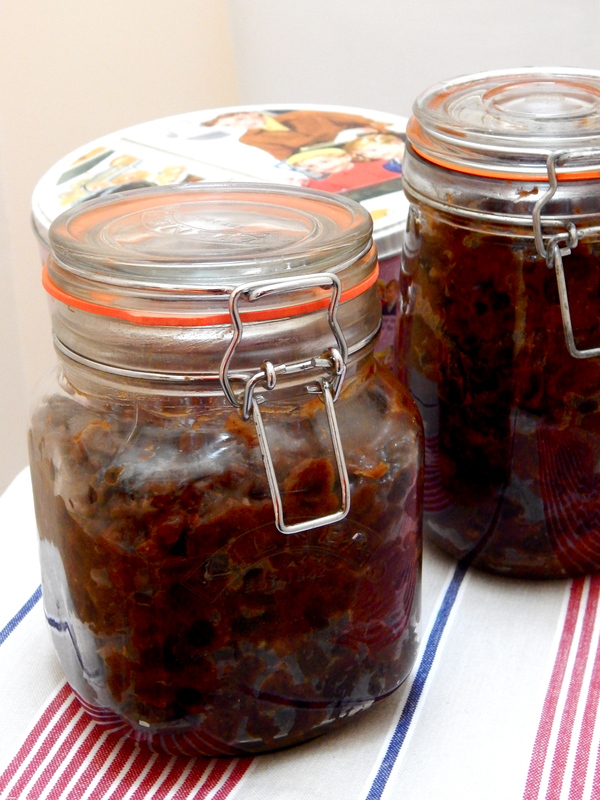 You will also need some preserving jars to store the mincemeat. Put all the ingredients (except for the brandy) in a large ovenproof mixing bowl, then stir and mix them together thoroughly. Cover the bowl with a clean cloth and leave the mixture in a cool place overnight or for at least 12 hours, so the flavours can mingle and develop. The next day: Pre-heat the oven to 225°F /110°C. Cover the bowl loosely with foil and put in the oven. When three hours is up, remove the bowl from the oven. Don’t worry about the amount of fat in the bowl, this is how it should look. As the mixture cools down, give it a stir it from time to time – the fat will thicken and coat all the other ingredients. 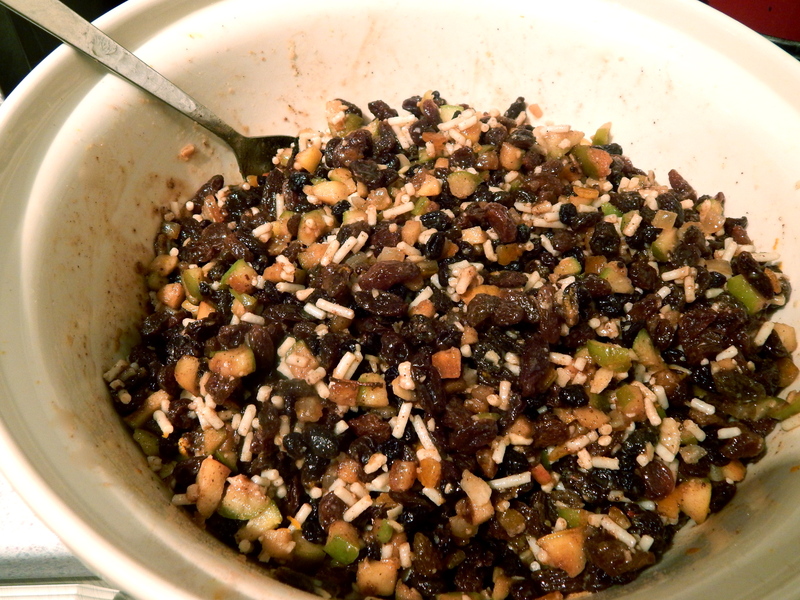 When the mincemeat is completely cold, stir well again and add the brandy. Pack in sterilised jars. And there you have it! Told you it was easy. 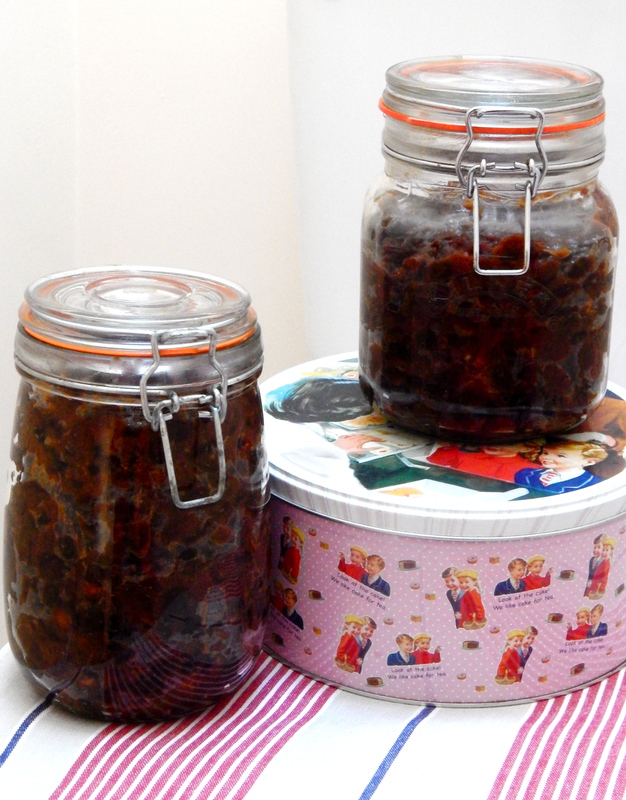 If you don’t need so much mincemeat, or don’t want to keep it in a cupboard for three years (which is what i do!) 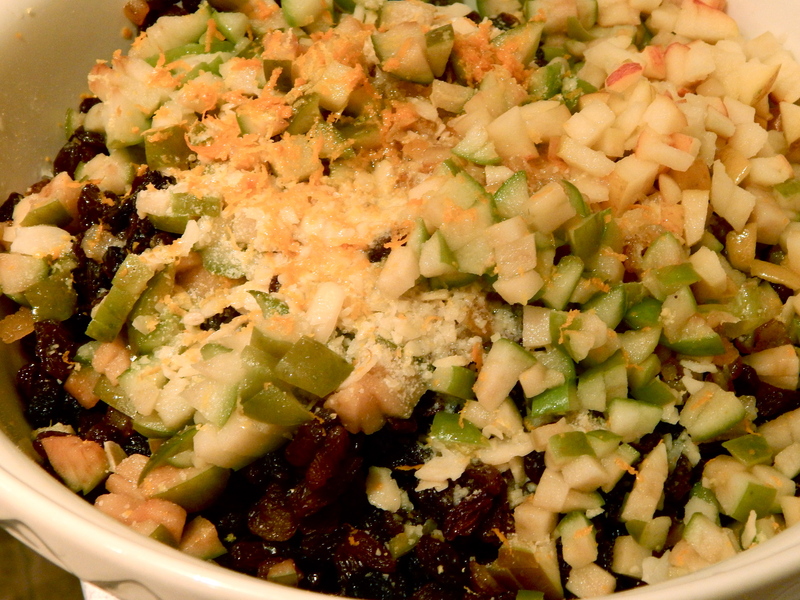 then feel free to halve the recipe, that should make quite a few batches of mince pies this Christmas anyway! Part of me is sad it’s the end of my bake-off challenges, I’ve learned some new techniques and have some new recipes to add to my repertoire which is great. The other part of me is happy to get back to a life that doesn’t involve baking and eating baked goods every week! I’m a bit baked-out, and feel like I need to eat better for a while – there’s only so many times you can foist your cakes/tarts etc on friends and family over 10 weeks (maybe I don’t have enough friends?!). Anyway, as well as it being the final, it is also my 20th post on this blog – that calls for a celebration cake right? 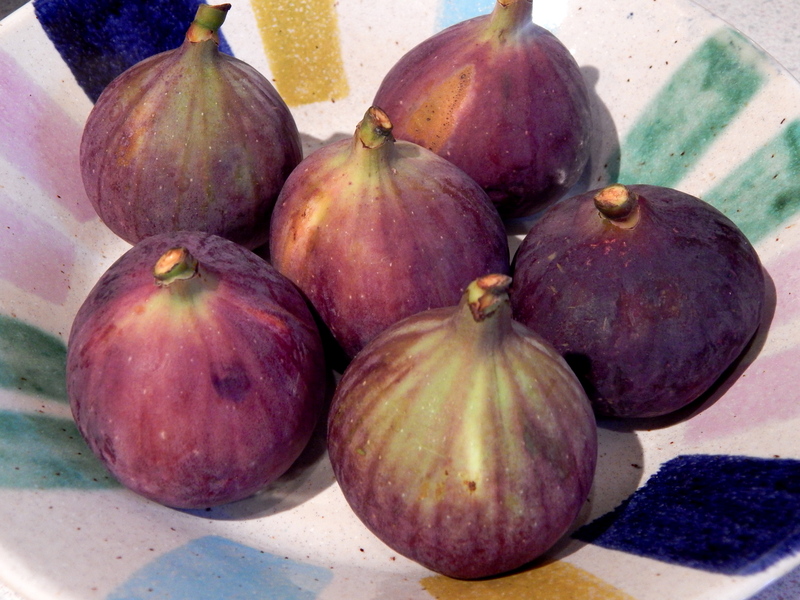 I love figs and when I spotted a punnet of big juicy ones in the supermarket I pounced. I looked for fig cakes on pinterest and found lots of delicious-sounding ones, but not so many worthy of presenting to Mary or Paul – they had more of a rustic look, which is absolutely fine with me, but I was trying to go for a more polished look for the final. I found my inspiration in this beautiful cake from dolly+oatmeal which is fig and hazelnut. It’s dairy free & gluten free so worth a look if that interests you, but I decided to change it a bit so I could use ingredients I either already have in the kitchen, or would use on a regular basis. 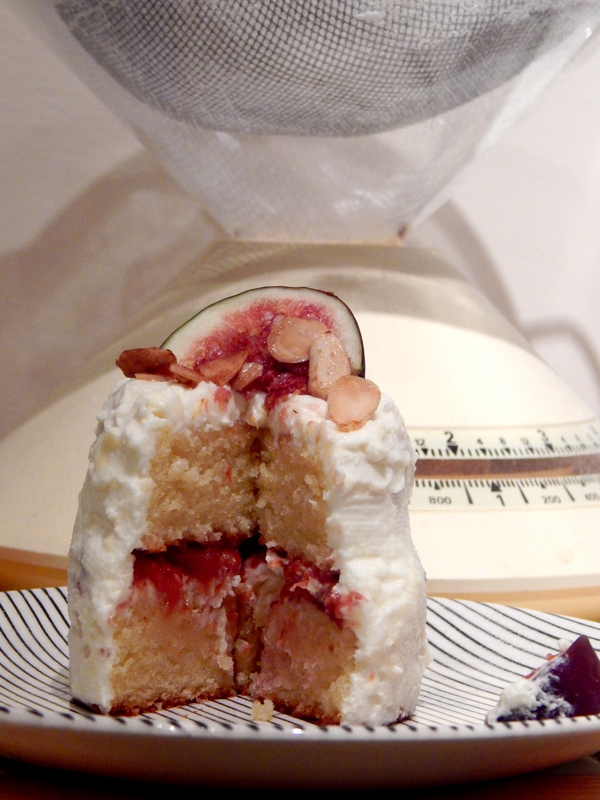 I used an almond cake recipe from Happy Home Baking, as I think fig and almond are a tasty combination. It makes one 22cm cake, but I used cookie cutters to make it into four layered cakes. 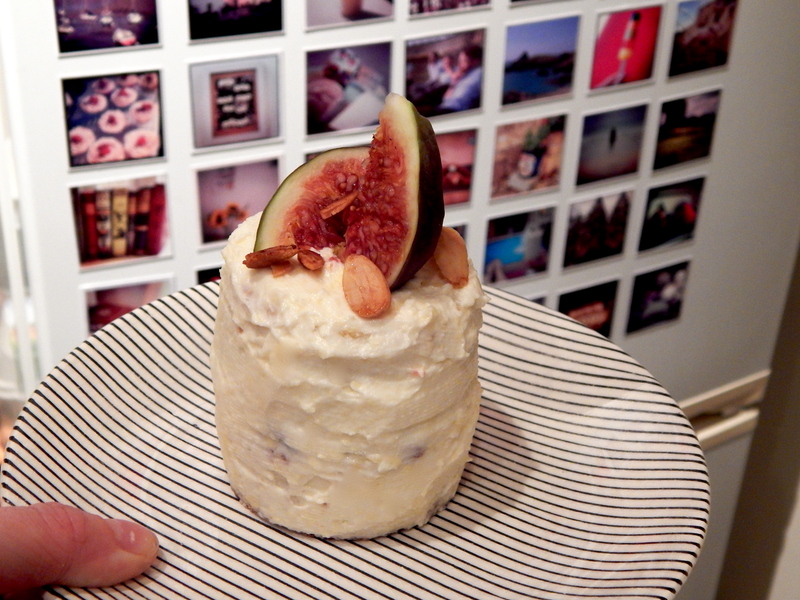 I then filled it with cream cheese frosting and the fig compote from dolly+oatmeal, covered it in cream cheese frosting, and decorated with fresh figs and toasted caramelised almonds. Mary and Paul would probably still think it’s not refined enough in the looks department, but I think it’s pretty good! Pre-heat oven to 180C. Grease a 22cm springform cake tin and set aside. Cream the butter and sugar in a stand mixer or by hand. Beat in the eggs, add the ground almonds, flour, milk, and amaretto or vanilla extract (if you wish), and beat until light and fluffy. 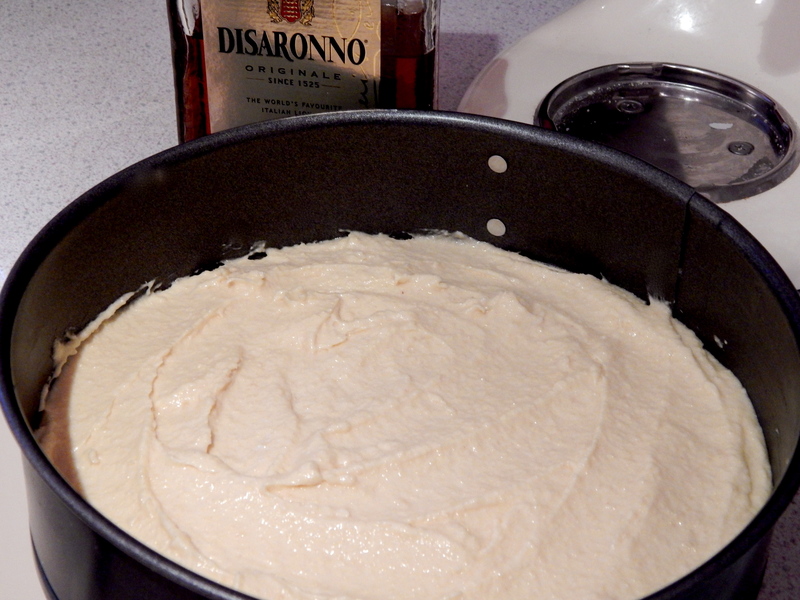 Spoon the mixture into the cake tin and spread the batter evenly. Bake for 30-35mins, or until the sponge just springs back when pressed, or a skewer inserted into the centre comes out clean. Leave the cake to cool for 5 minutes, then release from the tin. Run a knife around the bottom plate of the tin, then turn out onto a wire rack and let cool. 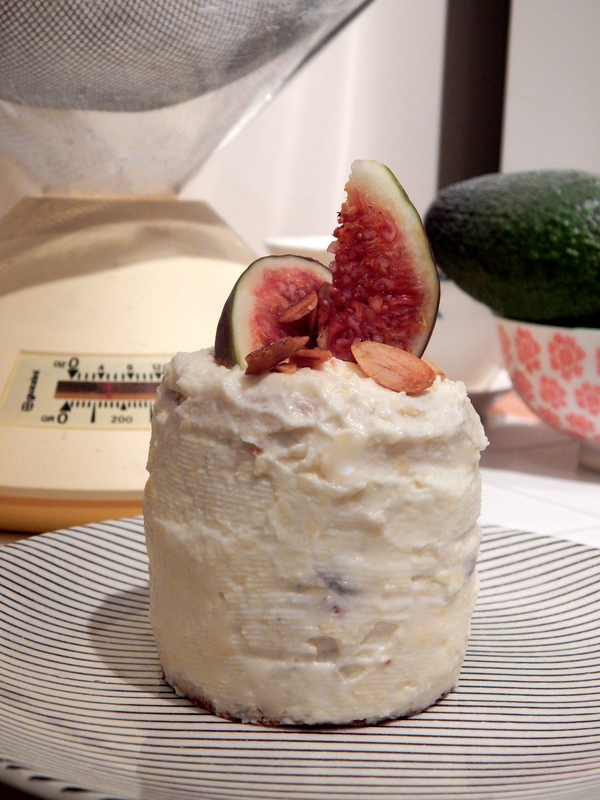 Whilst the cake is cooling, make the fig compote. Put the chopped figs, maple syrup and lemon juice in a saucepan. 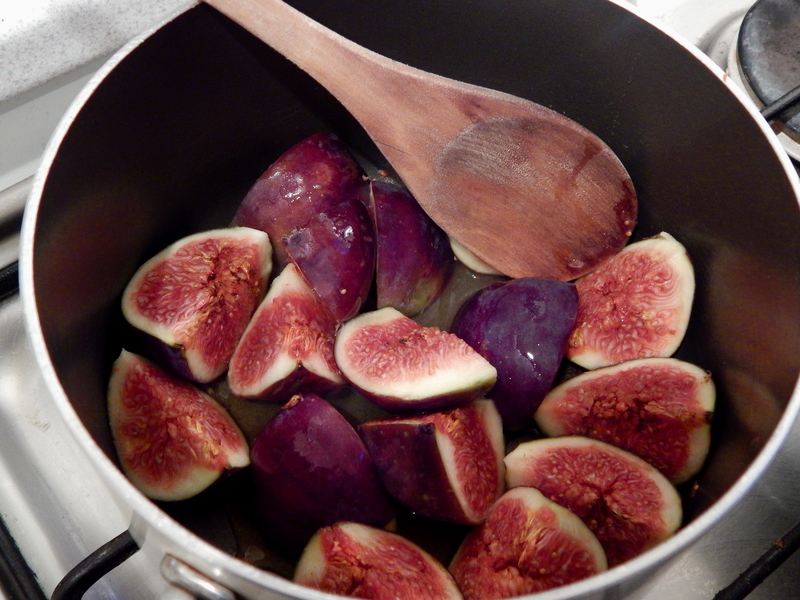 Simmer over a medium flame and stir until the figs soften and release their juices. Cook for about 15-20mins, letting the figs fall apart and the compote thicken. Take off the heat and let cool. 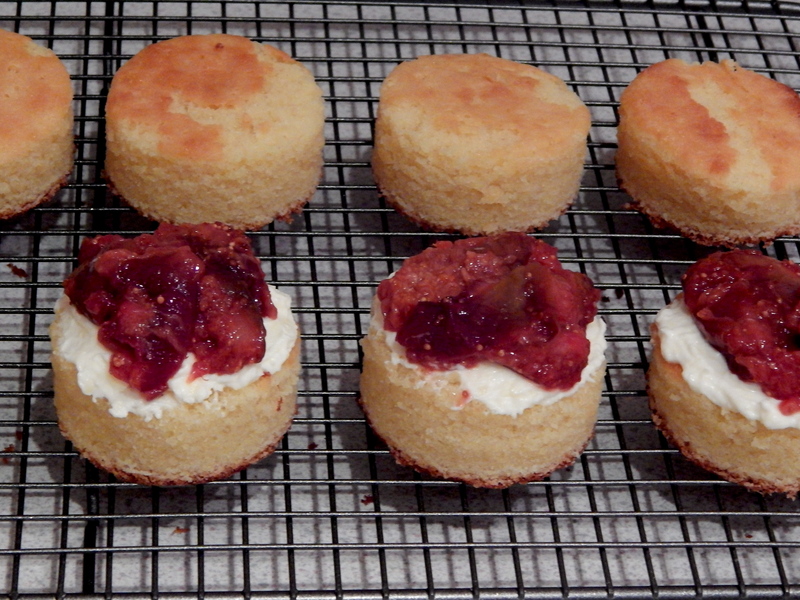 Whilst the fig compote is cooling, make the cream cheese frosting and cut out the mini-cakes. Beat the butter until really soft, then add the icing sugar, cream cheese and an optional teaspoon of amaretto or vanilla extract, and continue to beat until smooth. 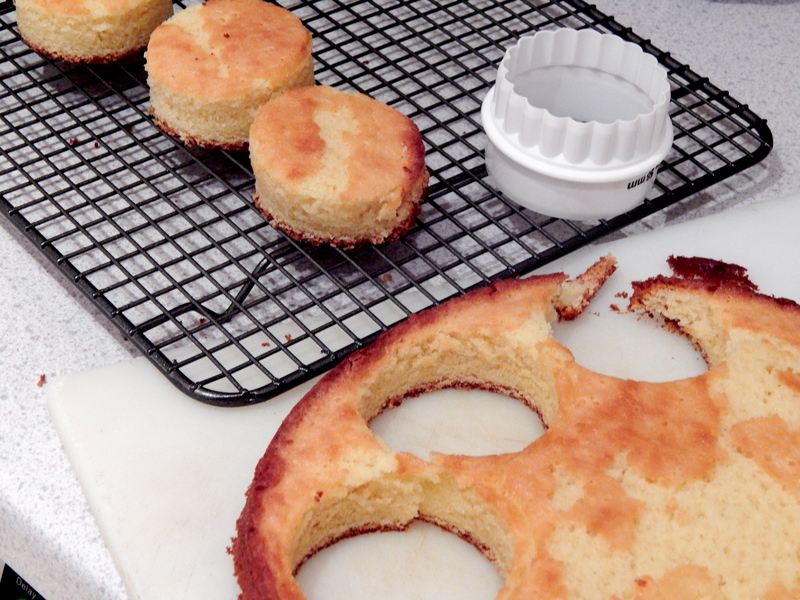 Cut circles out of your almond sponge using a cookie cutter (mine was 2 1/4 in). Toast your flaked almonds with a sprinkle of brown sugar (if using). Assemble your cakes – spread some frosting over the bottom layer, top with a blob of fig compote, and sandwich. Use a palette knife or spatula to cover your cake in cream cheese frosting, then decorate with the fresh figs and caramelised almonds. I’m excited to use figs in lots of recipes this season, but this is a pretty tasty one to start off with! What are your favourite recipes using figs? Personally, I like to eat food from patisseries but i don’t make food from patisseries. I’m more of a rustic cooking kinda girl – not by choice, the food just turns out that way… and that’s what happened when i attempted to make Macarons this week too. 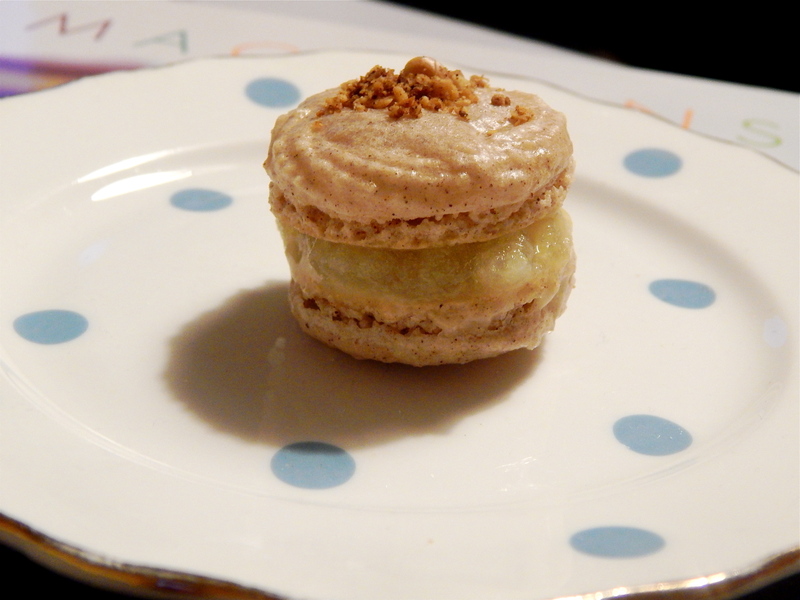 I know macarons are notoriously difficult to make, I tried to make them years ago and they didn’t turn out particularly well, and ever since I have just enjoyed eating them. A lot. 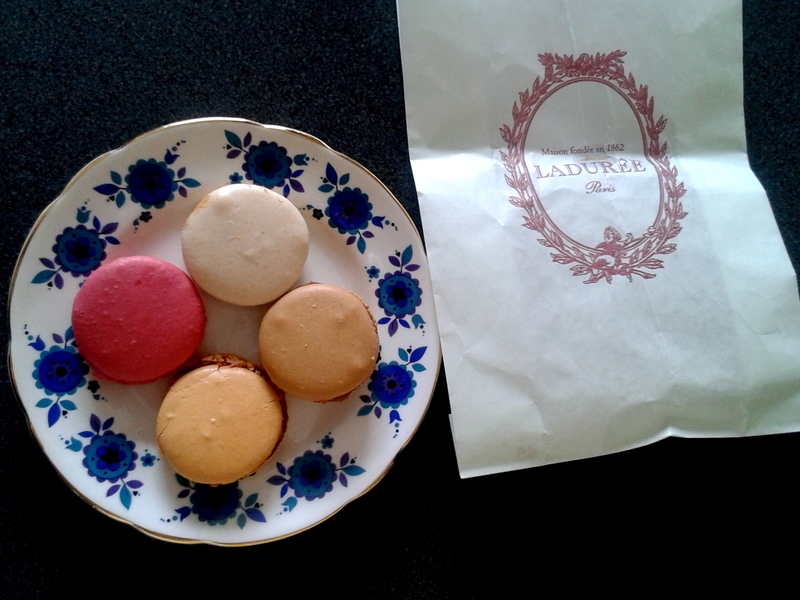 No trip to London is complete without visiting Laduree or Pierre Herme. But I decided it was time to try again. 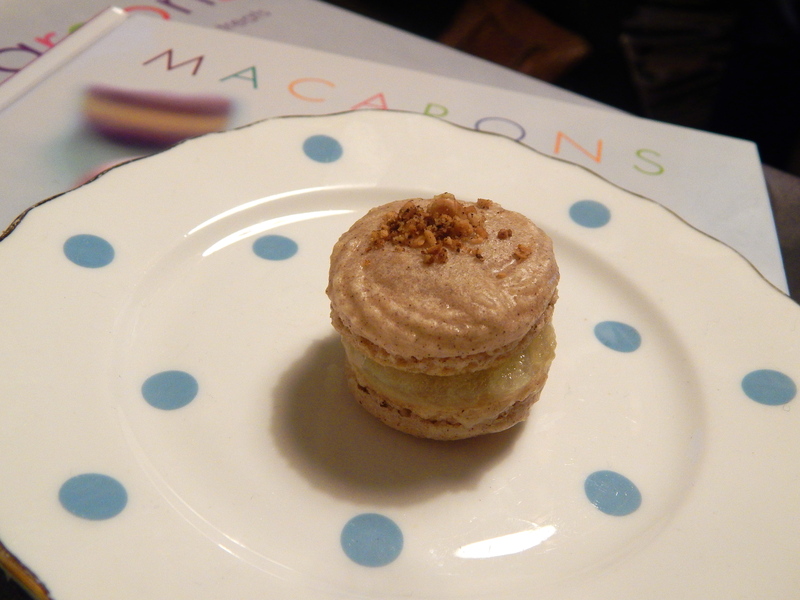 I have two books on macarons that just sit on the bookshelf looking pretty, so i dusted them off and had a go. My macarons didn’t turn out like these beauties. 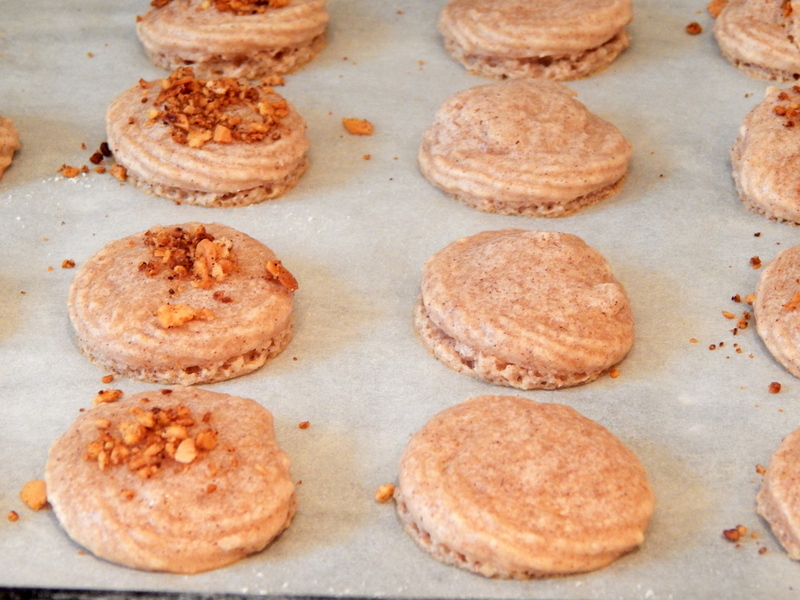 They tasted like macarons, with that wonderful chewy inside and crunchy exterior – i flavoured them with cinnamon and filled them with apple puree and honey ganache so they had the flavours of an apple pie – but, they looked a bit of a mess. No point in lying about it. I couldn’t pipe equal shaped circles – i couldn’t even find the right-sized nozzle so used a star-shaped one (that why they look a bit rippled). Some of them had ‘feet’ and some didn’t, some had ‘feet’ on one side and not the other, some erupted. It was all a bit crazy in my kitchen. However, they did taste amazing so i will still share my recipe with you, and hope that yours turn out as pretty as the professionals. (if they do, feel free to make me jealous with photos). The day before making the macarons, separate the egg whites from the yolks and keep in the refrigerator – the egg whites need to be ‘aged’. To make the shells: Bring the egg whites back up to room temperature. 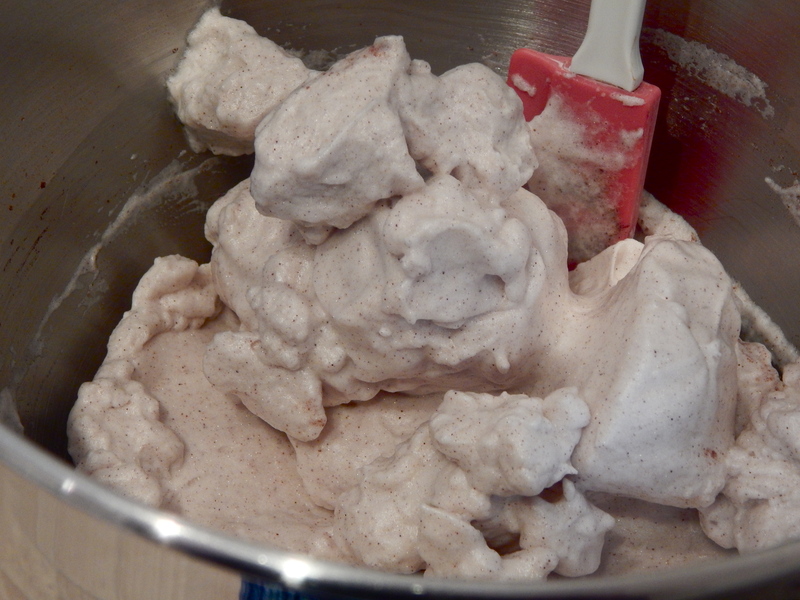 Put the ground almonds and icing sugar in a food processor and blitz for a few seconds. 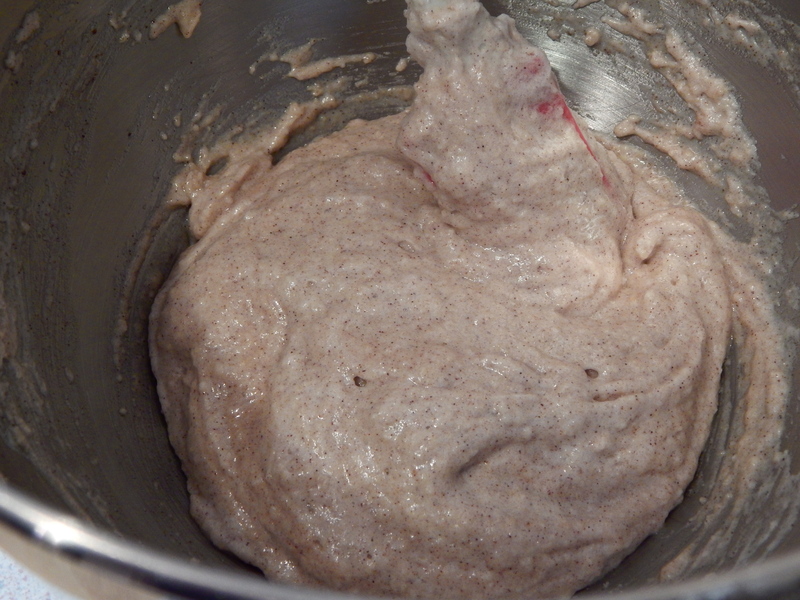 Sift the mixture into a bowl and set aside. 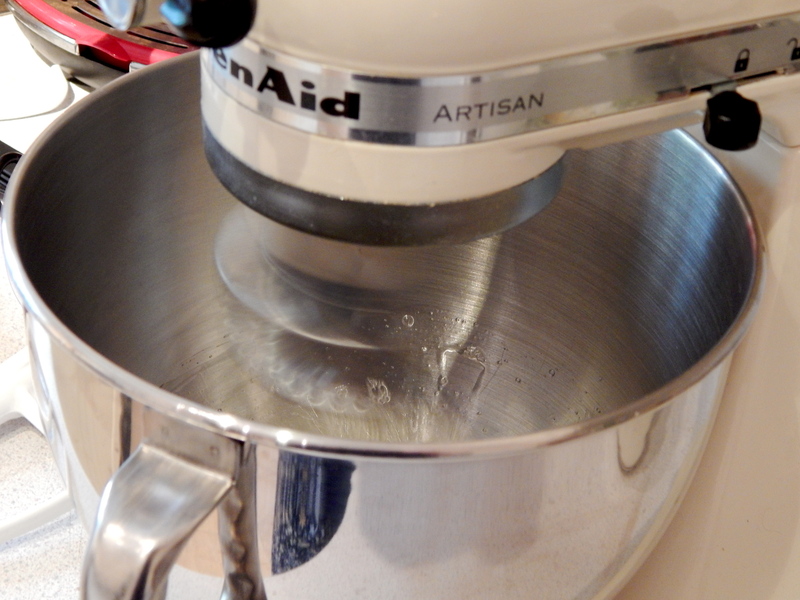 In a stand mixer (or with a hand mixer), whisk the egg whites until they are soft peaks. Gradually add in the cinnamon and caster sugar until glossy and firm. Sieve the almond/sugar mixture over the egg whites and fold in with a spatula, until well combined. This will take at least 50 ‘folds’! Continue until it looks like a shiny batter. Fit a piping bag with a 1cm nozzle, fill with the mixture and pipe out 15 circles onto two baking sheets covered in greaseproof paper. If they are a bit peaked, wet your finger and gently push down. 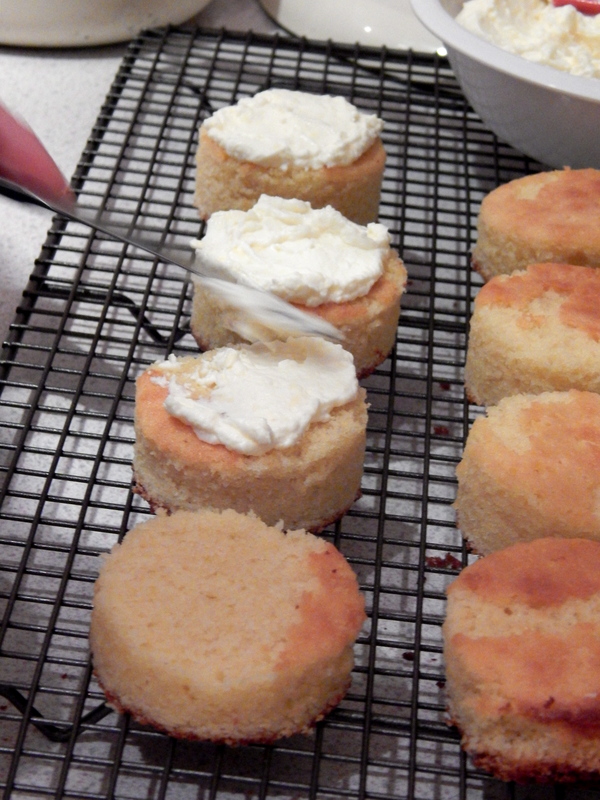 Tap the baking trays sharply on a work surface to get rid of air bubbles. Leave to stand at room temperature for at least an hour, until a crust forms (you should be able to touch the top of the macaron without it feeling sticky). 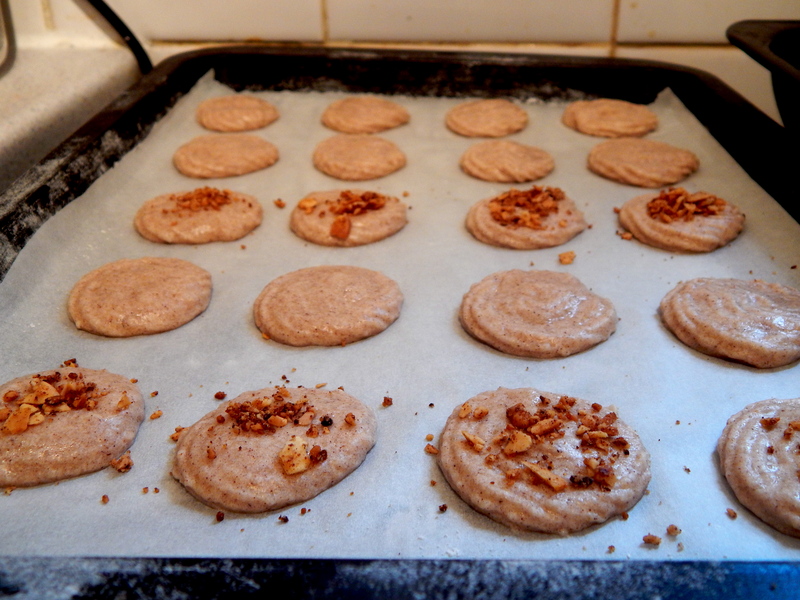 Whilst the macarons are resting, pre-heat the oven to 150F and make the filling (or have a cup of tea). When ready, cook the macarons for 10-12 mins. Leave to cool for 10 minutes, then carefully peel off the greaseproof paper and leave to cool completely. 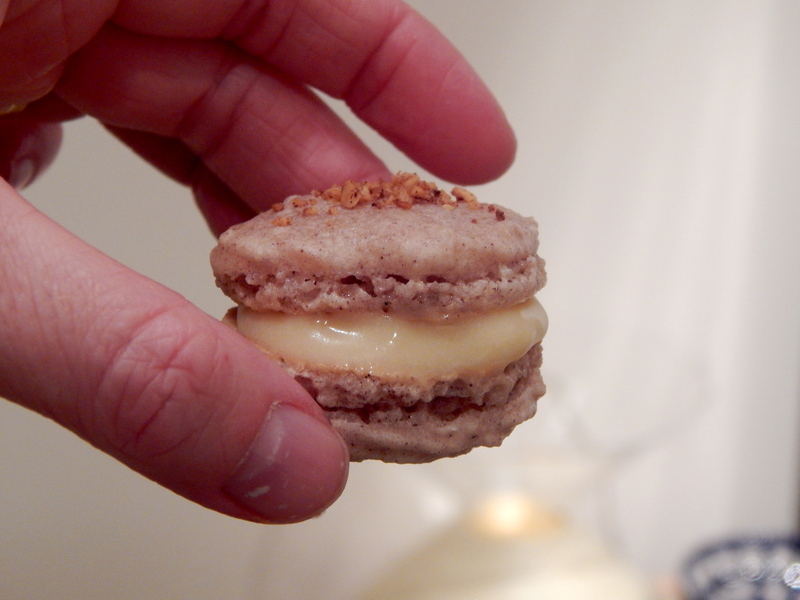 Use one or both of the fillings to sandwich the macarons together. To make the Apple: Peel, core and chop the apples. 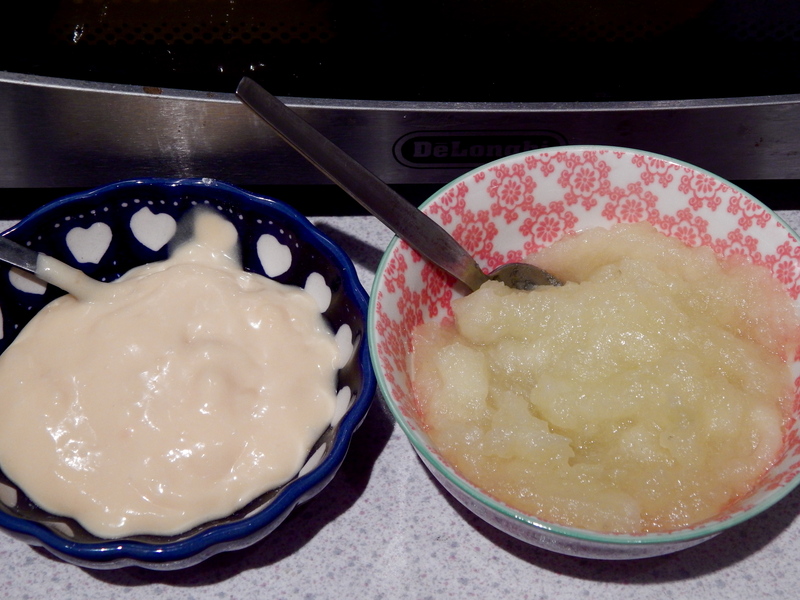 Place in a saucepan with the sugar and water, and simmer for approx 10 minutes, or until the apple is soft. Mash with a fork to make a puree, and leave to cool. To make the Honey Ganache: Put the gelatine leaves in a small bowl of cold water and leave for 5 minutes. In a saucepan, heat the honey over a low heat until warm. Remove from the heat, drain the gelatine leaves and add to the honey. Stir well until dissolved. Whisk the egg yolks with 1tsp of the caster sugar and then add to the honey/gelatine mix. 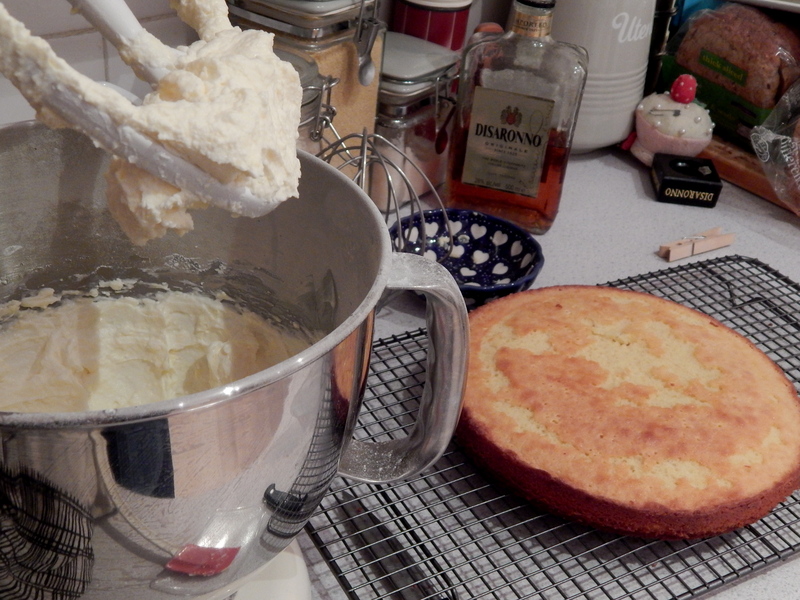 Whisk the whipping cream with the remaining caster sugar until firm, then add to the honey mixture and combine well. Leave to cool, then chill for at least 3 hours in the fridge. These two were the most photogenic – about a third could probably pass as macarons, the rest were best ‘deconstructed’ – thank goodness they tasted good! I think a more technical book might be best to read before re-attempting them, as mine were pretty but not particularly helpful – i gleaned more information from the internet. If anyone has any macaron-making tips please share! Uh-oh it’s the final next week… Who do you want to win?